The UK's new Secretary of State for Health and Social Care says tech transformation is coming to the National Health Service as he pledges big investments. In his first major speech since becoming the new Health and Social Care Secretary, Matt Hancock has put information technology atop his list of priorities for improving the National Health Service. 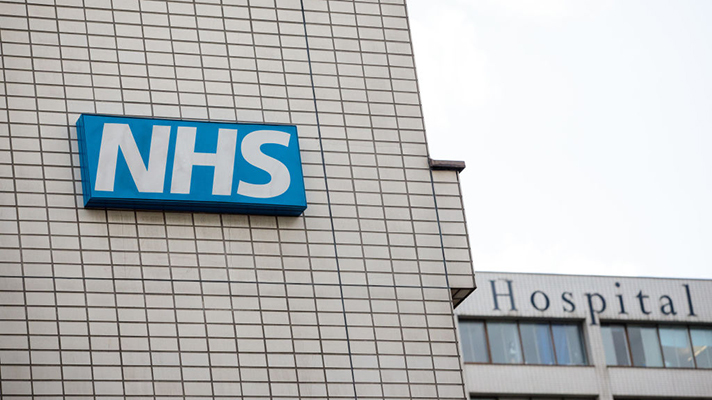 And he's backing his words with big money – the UK will invest around $540 million for hospital IT, according to reports, with another $98 million earmarked to help those trusts who still rely on paper make the move to electronic health records. Hancock said his top three priorities for the NHS were "workforce, technology and prevention," and he said the millions in new funding were needed to boost the efficiency and morale of providers and the engagement of patients. "You know better than me the pace at which modern medicine moves and so it’s crucial that your training looks to incorporate new technology that can save you time and offer better care," he said, in a speech delivered to staffers at West Suffolk hospital. "I want to make sure you have the access to the skills you need to make the most of these new opportunities." Hancock noted how the status quo – where "decisions on health and care have seemed to involve a trade-off: improving patient outcomes at the expense of placing ever more pressure on staff, while reducing the demands on staff has been seen to have an impact on patient care" – was unacceptable. "Technology and data innovation offers an opportunity to move past this binary approach," he said. Specifically, Hancock noted the need to increase patient safety with barcode scanning, boost engagement through mobile technology and improve clinical workflows with voice recognition software. Recognizing that tech transformation "requires upfront investment," he said the new half-billion pound package would "help jump-start the rollout of innovative technology aimed at improving care for patients and supporting staff to embrace technology-driven health and care. "More than [$524 million] will go towards new technology in hospitals which make patients safer, make every pound go further and help more people access health services at home," said Hancock. "A further [$98 million] is available to Trusts to help them put in place state-of-the-art electronic systems which save money, give clinicians more time to spend on patients and reduce potentially deadly medication errors by up to 50 percent when compared to the old paper systems." And that money was "just the start," he said. "The entire $26 billion proposed for the NHS will be contingent on modern technological transformation." Along with the technology investments Hancock said he would prioritize new data standards – "getting the data architecture right," while "allowing for innovation at all levels while protecting the highest standards of privacy" would be key, he said – and work to foster culture change. "I want to work with everyone across the NHS and social care system to embrace the next generation of technology," he said.